The nocturnal habits of birds can present a challenge for bird watchers and amateur ornithologists in Pennsylvania. However, these night birds often have distinct calls that can ease identification. Owls, such as barred and barn owls, are the most common nocturnal birds in Pennsylvania, but the common nighthawk and black- and yellow-crowned night herons are present as well. The Pennsylvania Audubon Society's eBird system (ebird.org) offers free, bird-tracking software for amateur and professional bird watchers. According to the Pennsylvania Audubon Society's eBird tracking system, barred owls are often spotted in the state in late spring. They nest and hunt only at night and feed on a steady diet of small rodents, such as moles, rats, squirrels and chipmunks, and various species of small lizards, snakes, salamanders and frogs. 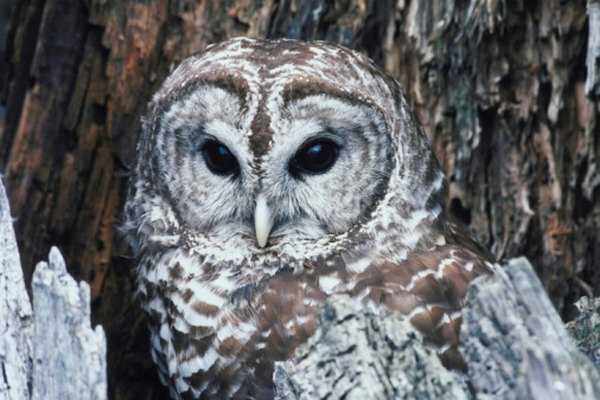 Barred owls usually nest in pine tree forests, near water, and are most populous in swampy areas. These owls are known for their "squeaky" hoots, which are akin to howling dogs or whooping monkeys. 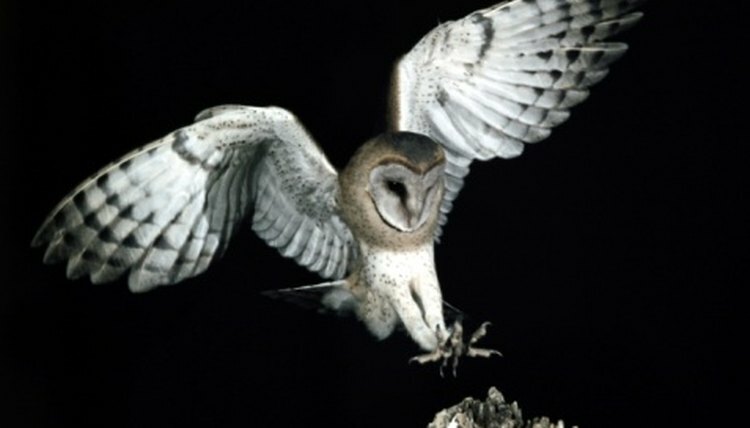 Barn owls have been spotted all year round in Pennsylvania, according to reports on the eBird tracking site. 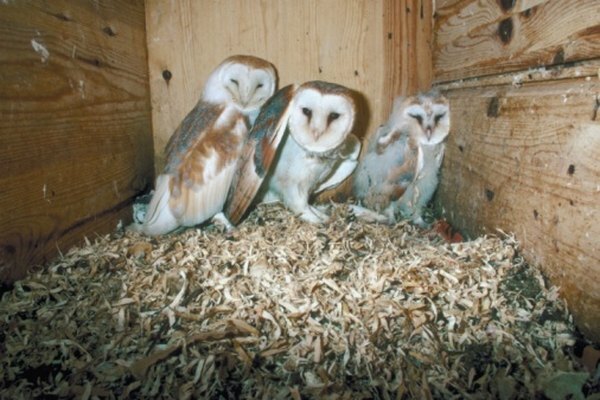 According to Texas Tech University's Natural Resource Department, barn owls are also known as the "demon," "ghost" and "death" owl, due to its haunting, heart-shaped face with piercing, black eyes. Like most owls, they hunt only at night and can glide silently through the night air, grasping their prey with sharp talons and hooked beaks. Reports on the eBird tracking site have identified both the black- and yellow-crowned night herons nearly all year round, but they are less commonly seen in the winter months. Cornell's "All About Birds Guide," states that "black-crowned night herons are the most widespread in the world," and that they are "most active in the dusk and night." 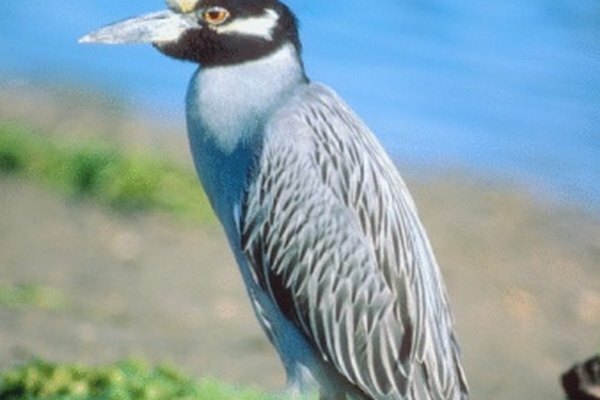 Yellow-crowned night herons have similar feeding habits, but feature a solid yellow stripe on their crowns and dark, black bills. Common nighthawks, according to the eBird site, are most often spotted in the early spring to late summer months. According to Cornell's "Bird Guide," most "studies of the species have been short-term and anecdotal," because of their nocturnal habits. The nighthawk is known to hunt insects and displays impressive aerial acrobatics with its "courtship dives." Despite its name, the common nighthawk is not part of the hawk family. Richard Reyes began writing in 2005 at the University of Wisconsin-Whitewater, where he served as editor-in-chief of "The Muse" literary arts magazine. His work has appeared in "Poesia," "Plain Spoke" and "Product Design & Development." Reyes holds a Master of Arts in English and creative writing from the University of Wisconsin-Milwaukee, where he is also completing his Ph.D. in English. Is the Northern Mockingbird Migratory? Where Do Steller's Jays Nest?